I had no idea this forum existed until someone on facebook suggested I come have a look. I've been rocking the good old black box for quite some time now, soft modded it well over 10 years ago and now finally getting around to upgrading the internal hard drive and leaning all about TSOP etc. Longtime moded xbox user here. Great to find another online community still active. Long live the xbox. Just joined and looking to get back in the original xbox scene, so will propably be pestering you guys for a bit Great job with archiving the old xbox info!!! Just here to check out all the neat things this site has to offer. Hi, I have been modding Xboxes for a number of years now. I can't believe I just found this site. I thought I knew of all of them lol. Name: wouter Location: netherlands I am a gaming enthousiast. I have a rack made from an old bed for evening fun with friends. On that rack I have 8 22" televisions with 8 xboxes to play games on a lan connection. I always try to get the best display quality possible, currently all is component. It is a lot of work to connect this. Currently making wii2hdmi connectors fit the all mighty xboxes, with succes. Will post a tutorial! Proud owner of Xbox Crystal 1.6 with ALLADIN XT+2 reports in. I am new to these parts but not to Xbox. I have had modded Xbox consoles for years. Glad to find this community and I hope to contribute in my spare time. I'm currently running a version 1.0 TSOP. I've upgraded the HDD to a 700GB 7200RPM SATA HDD and added the IDE to SATA bridge with a 80 wire IDE cable. I don't remember what DVD Drive I originally had in this one but it has a newish Samsung Drive in it now, works great. The inside I left mostly untouched save for a bit of cleaning and new thermal paste (Arctic Silver). Anyways everyone, see you around! Hey guys, Been modding the OG xbox for a little over a year now. Owned one back in 2004/2005 but knew nothing about the process. It wasn't until about a year ago my cousin bought cheap build off ebay and showed it to me. I told him I could figure it out and make it even better as I knew he was missing out on some good stuff. That's when it all began. My first modded system was a 2 TB softmod. It took me a few weeks to download the right tools and pool some knowledge from a few dedicated websites (I know a bunch of those guys are here and I thank you) in order to figure it all out. It wasn't long after i began learning to mod chip and TSOP (which has since become my go to method). I'm still learning new tricks each day and here to both learn and help people just getting started out. I've been doing a lot of case mods as well, and have some ambitious projects coming up that I look forward to sharing with you all. 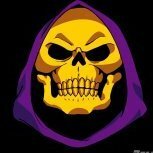 I can also be reached on the XBMC4Xbox forums under the handle Skeletor64.